Without question, the most common question I get asked is, “what’s your favorite whiskey?” Of course, this is a nearly impossible question to answer. It would be like choosing your favorite child or favorite Star Wars character. I’ve avoided doing something like this for a long time so as not to give into all the questions, but what better time to ruin that streak than the 5 year anniversary of Bargain Bourbon? Yes, March 2017 marks the 5 year run for the blog, so it’s time to satiate my readers with such questions about favorites. So, over the course of March, I’ll be unveiling my favorite whiskeys in eleven different categories: Bourbon, Rye, American Craft, Irish, Blended Scotch, Speyside Single Malt, Islay Single Malt, Highland Single Malt, Island/Lowland/Campbeltown Single Malt, Canadian, and Value (Under $50). I have chosen the categories based on the similarities of whiskeys and the breadth of whiskeys I have tried for each category (i.e. I have not tried enough Indian, Australian, or Japanese whiskeys to warrant categories here). It is important to note that there are countless whiskeys in the world that I have not yet tried, and a great deal more that I will never try. As Judge Holden has said, more things in this world exist without our knowledge than with it. Thus, my favorite whiskeys should not be taken as some sort of universal truth about whiskey, just my personal favorites among drams that I have tried. For each category, I will present five nominees, and I will conclude the month of March by posting the winners in each category. Each whiskey will only be nominated for one category, whichever category suits it best. I am making no claims that the whiskeys that will follow are the best of all-time in each of these categories; they are just my favorites. Everybody has their different opinions on whiskeys, and that is precisely what makes whiskey such a fun exploration. So, over the coming weeks, enjoy reading about my favorite whiskeys and as always, leave your comments and let me know what you think! Thanks for hanging out for the last five years! Let it ride! Today’s review is of Jefferson’s 10 year-old rye whiskey, sourced from Alberta Distillers in Canada. Alberta Distillers has become famous for their rye, with Whistle Pig and Masterson’s garnering positive reviews along with the Jefferson’s rye. 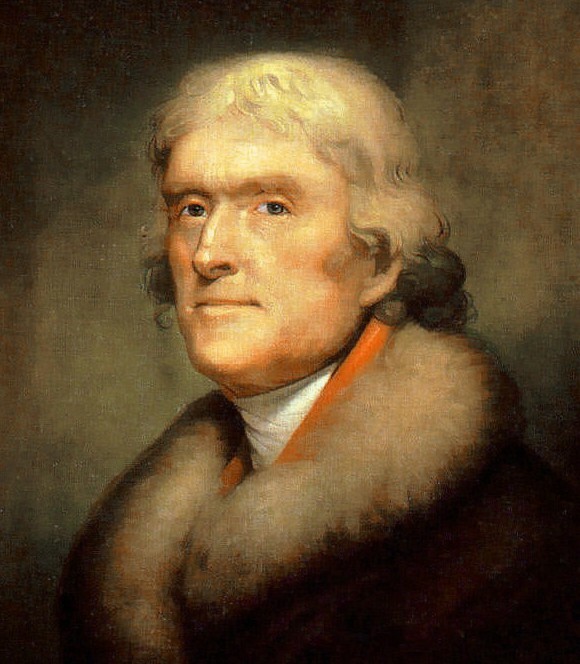 As with their bourbons, there is no Jefferson’s Distillery that is distilling the whiskey sold under the Jefferson’s label. However, they have certainly gained a reputation for bottling some very good whiskey, despite the fact that all Jefferson’s is doing is bottling the juice. Jefferson’s is made from a 100% rye mash-bill, is 10 years old and bottled at 94 proof (47% abv). On the nose, this is a classic rye whiskey, with big, straight-forward rye bread, a little vanilla, evergreen, pine sap, and a little black licorice. The palate is full-bodied and rye all the way through. There are notes of rye spice, rye bread, pine needles, oak, spearmint, and vanilla extract. The finish is medium in length, with some lingering evergreen notes and vanilla flavors. Overall, this is a wonderful rye whiskey that really hits the mark if you are a lover of rye whiskey. It definitely performs well at its price point, especially considering that some of the other ryes from Alberta Distillers are twice the price of Jefferson’s. It is sharp, spicy, full-bodied, and full of wonderful rye character. My grade: B+. Price: $35-40/750ml. If you are in the mood for a good rye, look no further than this one (and it won’t break the bank, either). Today’s review is my first in a line of reviews of whiskey publications. For obvious reasons, all sorts of books have been written about whiskey (the obvious reason is that whiskey is a delicious elixir); I will do my best to give some thoughts on some of the whiskey books I have read, and the ones I readily use. Today’s review is of Whiskey Opus by Gavin D. Smith and Dominic Roskrow with Davin de Kergommeaux and Jürgen Deibel. Published in 2012, Whiskey Opus is a large book, spanning 285 massive pages, covering distilleries from all around the world. Despite the use of the “e” on the cover, the book focuses mostly on Scottish distilleries, although there is significant information on distilleries from other countries as well. The driving force of the book is distillery profiles, complete with the histories, stories, people, and tasting notes. As a result, if you are a fan of blended Scotch whiskeys from different distilleries (Johnnie Walker, Dewar’s, etc. ), this book probably will not be up your street unless you are looking to explore beyond blends into the wonderful world of single malts. However, if you are looking to learn more about whiskey and the distilleries that make the wonderful spirit, Whiskey Opus is a great place to start. For most of the distilleries, the authors (all formidable and experienced whiskey experts) do a good job at providing tasting notes for a variety of whiskeys, giving the reader a good idea of what to expect from each distillery. Of course, there is no substitute for your own palate, but reading the tasting notes of The Dalmore 12 year-old will probably give you a good idea of whether or not you will care for The Dalmore’s house style. The book is best for you if you are someone looking to expand your knowledge of whiskey, and it is a great, easy-access reference guide. The book also has helpful overviews of whiskey-making, whiskey tasting, types of whiskey, and whiskey glassware. Overall, Whiskey Opus makes for a great reference guide for whiskey drinkers with limited or moderate experience with whiskey. For experienced whiskey drinkers, the facts and anecdotes are interesting, especially for the distilleries you may not have sampled from yet. Whiskey Opus is usually available for about $40, which is a fair price for a reference guide, especially given the amount of information on each distillery and the quality of the authors. There are certainly other reference guides on the market, but this one is thorough without being overbearing. It is easy to use and fun to read. If you see it on the shelf next time you’re in the book store, let it ride! I think you’ll be glad you did. Today, I am reviewing Redemption “high-rye” bourbon (batch #52). This bourbon is bottled in Bardstown, KY for Strong Spirits, but it is distilled and aged in Indiana at Midwest Grain Products (MGP). MGP is most known for their 95% rye mashbill that goes into rye whiskeys such as Angel’s Envy Rye, George Dickel Rye, and Bulliet 95, just to name a few. As I am fond of MGP’s rye whiskeys, I have wanted to get my hands on some MGP bourbon for a while. Redemption bourbon is unique in its composition because the grainbill contains 38.2% rye, which is a very high amount of rye, so much so that this is almost a straight rye whiskey instead of a straight bourbon whiskey. The bottle indicates that the whiskey is at least 3 years old, but I suspect most of the whiskey in the bottle is around 4-5 years old. 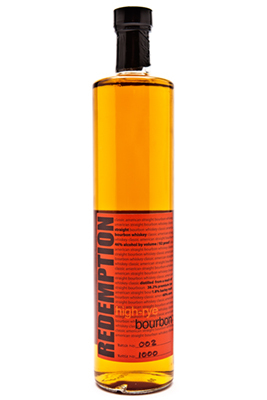 Redemption bourbon is bottled at 92 proof (46% abv). In the glass, this bourbon is a hazy, red amber color, which leads me to believe that this whiskey is non-chill filtered, but the bottle does not say one way or the other. The nose presents a lot of spices that you would expect from a high-rye bourbon. Anise, sawdust, oregano, and cinnamon are all present, backed up with vanilla extract and corn flavors. Overall, this is a very good and complex nose, especially given the youth of the bourbon. The palate is medium-bodied and very drinkable with flavors of dill seed, anise, oregano, corn, and big vanilla. I am quite sure that if I were to sip this blind, I would think I was drinking a rye. The finish is medium-short with a nice rye zip and some sweet vanilla. Overall, I really like this bourbon for what it is; young and tasty. Redemption bourbon does not presume to think it is an old bourbon with elegance and age under its belt. It is meant to be a smooth whiskey somewhere between a bourbon and a rye. The balance is struck well, and the whiskey drinks well neat despite its youth. Judging solely by the flavor profile, I think this bourbon could be a very mixer to have around for your high-end cocktails. My grade: B-. Price: $20-25/750ml. At the price point, this is really a good buy, and a whiskey that makes a great addition to any whiskey drinker or home bartender’s cabinet. With the holidays around the corner, a lot of folks will be enjoying their rare and limited edition whiskeys that only come out on special occasions. Here at Bargain Bourbon, I believe in the special occasions as much as anybody else, but we ought not lose track of the bourbons that get us through the year, year in and year out. One such bourbon for me is the Evan Williams Single Barrel Series. The subject of today’s review is the 2003 Vintage, barrel #603, aged 10 years, 3 months, and 18 days. As always, Evan Williams Single Barrel is bottled at 86.6 proof (43.3% abv). The nose on this bourbon is classic Evan Williams. It is sweet with blackberries, raisins, cherries, but it is balanced out with spicier notes of black tea, cloves, and wood shavings. The palate is dry with maraschino cherries, caramel, and timber. The palate is fresh and lively, but with a pleasant oakiness to it. The finish is medium in its length, with warming flavors of caramel hard candies, cherries, and some bitter tannins. Overall, Heaven Hill has produced another classic bourbon with this barrel and this vintage. This is a soft, sweet bourbon that goes very well with the spiciness of gingerbread cakes and cookies around the holidays (seriously, try it). Even though Evan Williams Single Barrel bourbons are not my favorite bourbon profile, they are very good bourbons that consistently hit their mark. My grade: B. Price: $30-35/750ml. In places where this bourbon is available for $20, it is the almost always the best buy on the shelf.